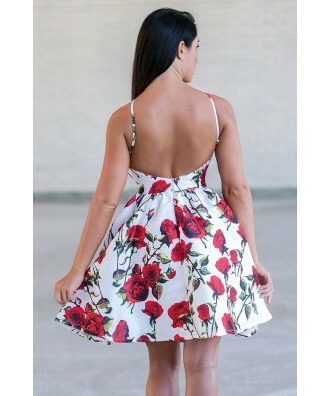 This beautiful printed rose dress is poetic! 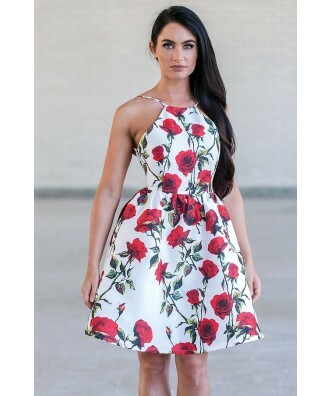 The Roses are Red High Neck Dress is a gorgeous bold red rose print against a white background. This contrast makes for a striking statement dress. It is fully lined. 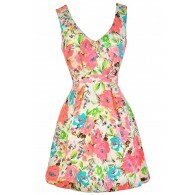 The dress has a high halter neckline, adjustable straps, A-Line cut and an open back. 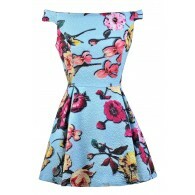 The high neck of the dress is contrasted with the openness of the back. A hidden back zipper completes this dress. This dress makes for a perfect party dress! 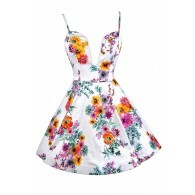 This dress would also be cute for date night! Pair this with simple jewelry and heels. Details: Fully lined. Adjustable straps. Hidden back zipper. 100% polyester. Hand wash cold water separately. Color will bleed. Hang to dry. Small measurements: Length from top of neckline to hemline: 31”. Bust: 32”. 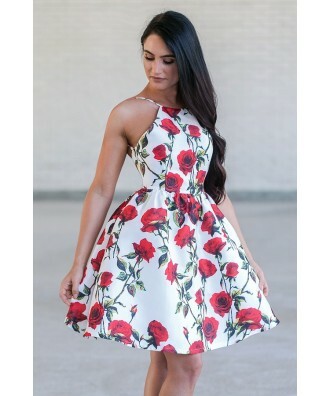 You have added Roses are Red High Neck Dress into Wishlist. You have added Roses are Red High Neck Dress for Stock Notification. You have set Roses are Red High Neck Dress as a loved product. You have removed Roses are Red High Neck Dress as a loved product.